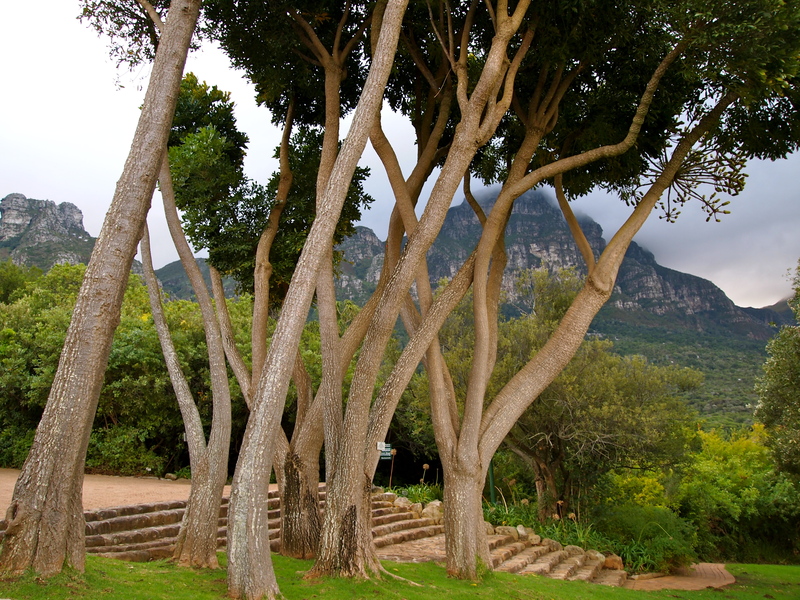 As part of my Cape Town Peninsula Tour, we stopped at the lovely Kirstenbosch Botanical Gardens. We had a little less than an hour to tour it, so I broke away from the organized group and tried to cover as much ground as I could! Although it was a cloudy and at times misty day, the gardens were gorgeous! I highly recommend seeing the Kirstenbosch Botanical Gardens if time permits! Next we’ll take a Red City Bus Tour!! Wonderful pictures! Surely a place worth seeing. On the pictures it looks as if the sun shone brightly. It was sunny every day but one of 40 days I was there!! I love these photographs! Thanks for sharing! Thank you for stopping by!! So sad I missed this when I was in Cape Town, it looks gorgeous! 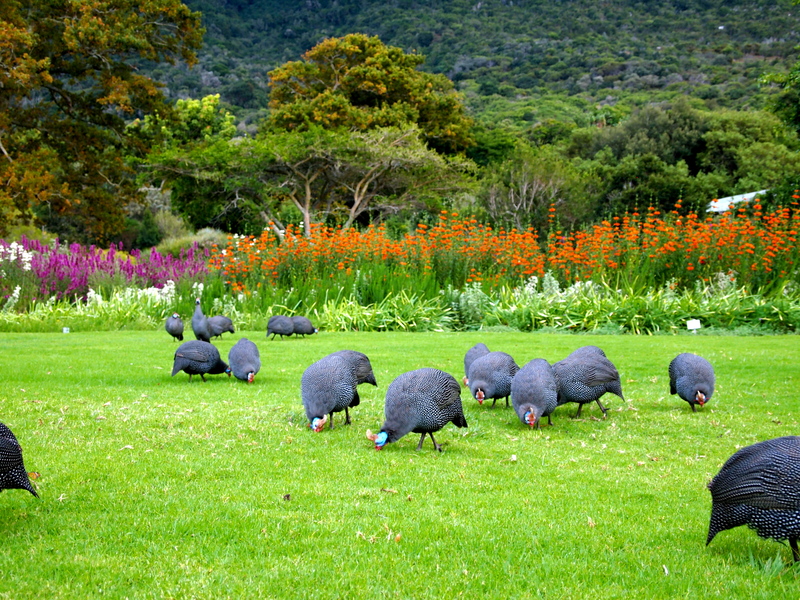 Beautiful garden and that photo of the guinea fowls is so awesome. Good GOD, those shrouded mountains. worth the whole trip, I imagine~!! Thanks! I obviously don’t know my geography of Africa, cause it looks far different than It is. Enjoy the trip. High on my list. Now I can see why. Thanks for sharing the beautiful pics of the Gardens. The mountains in the background accent the setting. Brilliant photos again – great to hear from you and see that you are enjoying yourself. Cool – what are the birds? Those look like guinea fowl. Whoaa! those trees in the first picture look really cool. Makes me want to go there and climb them. 🙂 Thanks for posting these pictures, and keep up the great photography! Your visits are my reward. I prefer not to accept awards...thank you for the thought!